Several shorebirds were zipping around the impoundment by Meadowlands Commission headquarters at Dekorte Park on Monday and Tuesday morning. The star of the show was a black skimmer, whose bill cut through the surface of the water like a knife. Great views were available from the boardwalk by the Environment Center on Monday. 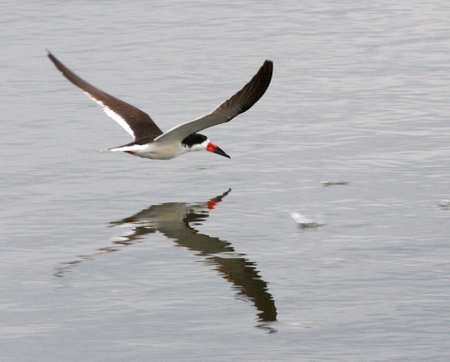 More on black skimmers here.